Miessence products are a complete range of certified organic, personal healthcare products, 100% petrochemical free and produced entirely from plant and mineral ingredients. 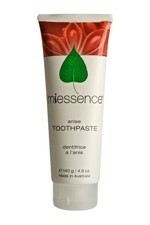 Manufactured in Australia, the Miessence range meets some of the strictest organic certification criteria in the world. As such, all Miessence products are not only designed to provide you with the safest haircare, skincare and body care products in the world, but they are equally kind to the environment. The Natural Choice are proud to offer the entire Miessence product range here in the UK at 20% or greater discount. 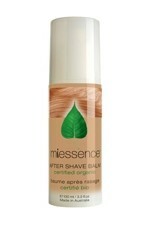 Miessence After Shave Balm is a hydrating balm to soothe, tone and refresh the skin. Helping to calm sensitive razor-burned skin with the combination of Organic Chamomile, marshmallow and Organic Aloe Vera. It further refines and refreshes your skin with Organic Witch Hazel and St John's wort. Miessence Ambrosia Essence is an extremely potent combination of eight highly effective herbal and flower extracts to soothe, tone and renew the skin. 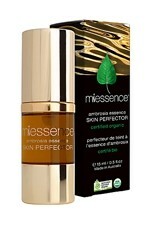 With its Certified Organic status, you know this product will be safe and yet effective for all your skin care needs. 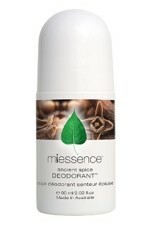 Stay naturally fresh all day with this Certified Organic Miessence Ancient Spice Roll-on Deodorant. An effective yet gentle formula , even for the most active people. No aluminium compounds or chemical antiperspirants, to help keep you and your skin feeling healthy. Based on the traditional remedies of bicarbonate of soda to eliminate odours and aloe vera to soothe. 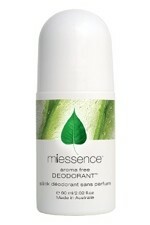 Stay naturally fresh all day with Miessence Aroma Free roll-on deodorant. An effective formula, even for the most active people. Free from aluminium compounds and chemical antiperspirants. Based on the traditional remedies of bicarb soda to eliminate odours and aloe vera to soothe. No essential oils for those who prefer aroma-free protection. 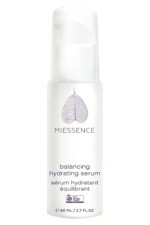 Formally known as the Balancing Skin Conditioner, Miessence Balancing Hydrating Serum is a hydrating infusion with organic olive leaf, calendula and marshmallow, designed for normal and combination skin types. Naturally infused with vitamins to refresh and tone the skin, you will soon notice a refined and supple complexion. 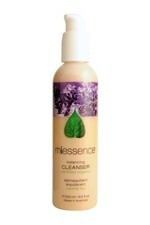 Miessence Balancing Skin Cleanser is for normal/combination skin types. A Certified Organic cleanser with a stimulating blend of organic orange peel oil, calendula and marshmallow that effectively removes perspiration, pollution and excess oils. Leaving your skin feeling soft and refreshed. 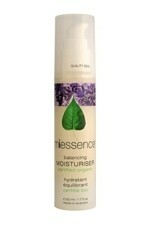 Miessence Balancing Skin Essentials Pack - For normal/combination skin types. The three main products you need in the Balancing Range to start your organic beauty routine. The Skin Essentials Pack contains the 250ml cleanser, 80ml skin conditioner and 50ml moisturiser. With this one pack you are well on your way to having skin that radiates health and well being. 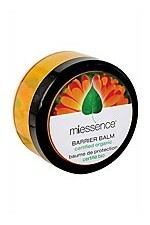 Miessence Barrier Balm is a soothing balm that protects sensitive skin. Softens dry patches, soothes irritated skin and calms redness. Repels moisture and helps to calm minor skin irritations. Protects nappy area from chafing. Can be used all over baby's body to help relieve extra dry patches. Can also be used on cuts, scrapes, bites, sun & wind burn. Suitable for the whole family.